The Spring 2019 Used Clothing Sale is Here! Do you have a growing pile of outgrown children's clothes in decent condition? Now that the weather is changing, are you finding that your child actually needs hoodies or a jacket? Then pencil the CEC Used Clothing Sale into your calendar! 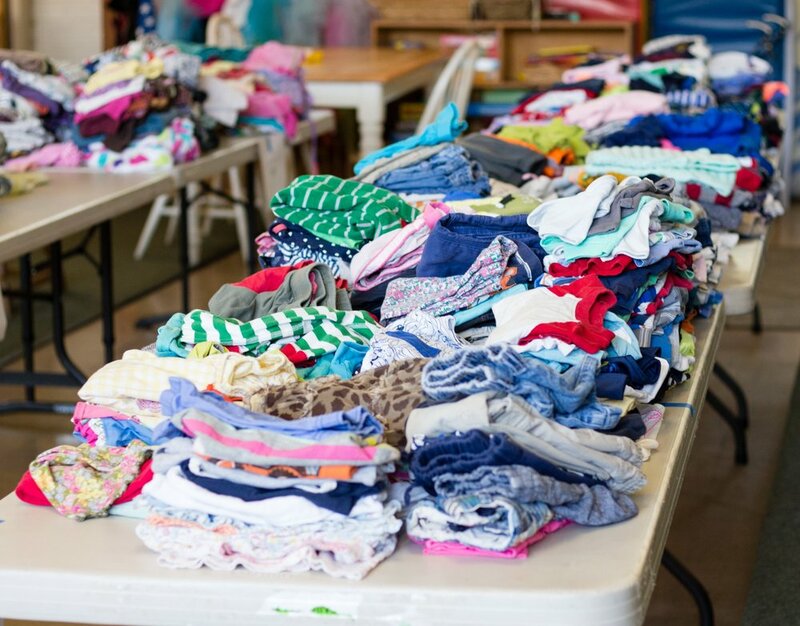 The clothing sale has become a popular CEC tradition where donated children's clothing and shoes (infant sizes on up), as well as maternity wear, are sold for bargain prices of $1 (or $3 for exceptional items). Please bring your gently-used maternity wear, children's clothes, books, toys, and shoes (sorted by age, not gender), to the CEC starting Wednesday, March 6 through Wednesday, March 13 Items may be dropped off at the CEC Oak Grove or Co-Op offices or in the Whale Room near the stage. Earn parent hours by sorting clothes, doing pre-sale set up, staffing during the sale hours, and/or post-sale clean-up. Each year, the Directors and Board of Trustees of the CEC acknowledge our loving and dedicated staff by declaring a week for staff appreciation. This year, we will once again ask parents to join us in celebrating our staff members by bringing flowers and notes of appreciation throughout the week. 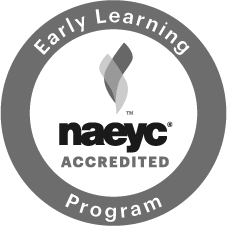 For the first time, Staff Appreciation Week will culminate with the infant, toddler, preschool’s mid-year Professional Development Day. Notes to Staff: All too often, in the rush of the day, we may not have time to express our genuine appreciation to staff for being the ones who love, nurture, and teach our children when we are not with them. Writing a note of appreciation is a wonderful way to share affirming thoughts with teachers, administrative staff or directors. Your notes do not have to be long to be meaningful. Your note can be written to an individual or a group such as all the teachers in a particular room, yard, office or site. Flowers: We also encourage parents to bring a flower or bouquet during the week to their child's group to help make the rooms look festive and beautiful. Simple and from your garden would be lovely, as would flowers that are purchased. We will have plenty of vases on hand so please don't feel the need to buy one. Banners: Your group's Room Parents (or Site Directors for the School-Age Program) will be taking the lead on making a celebratory banner to be hung in the room, ready to welcome the staff on the first day of the Staff Appreciation Week. If you would like to participate in making the banner, please look for communications from your group’s Room Parent. Staff Lunch: The CEC will be providing a special luncheon for all staff on Friday, March 9, as well as a small gift will be given to each staff member. Please Note: We are not soliciting money or gifts. The CEC budget includes funds for this event. We are only requesting personal notes and flowers from parents to remind staff that the important work they do is noticed and appreciated. The Fall 2018 Used Clothing Sale is Here! Please bring your gently-used children's clothes and shoes, sorted by age (not gender), to the CEC starting Monday, November 19 through Tuesday, November 27. Items may be dropped off at the CEC Oak Grove or Co-Op offices or in the Whale Room near the stage. With the annual United Way Campaign at Caltech and JPL approaching, we invite you to select the Child Educational Center (CEC) to receive your United Way donation. Most importantly, your donation through the United Way Campaign benefits ourTuition Assistance Program. This fund is committed to diversity in our programs and its sole purpose is to assist families in receiving the CEC's services when they otherwise could not. United Way seeks to create lasting change in communities around the world by bringing people and organizations together around innovative solutions. By electing to donate through the campaign, you may choose to support the CEC as a Caltech/JPL affiliate organization. Caltech Employees: Your pre-tax funds get matched by Caltech! To pledge, visit access.caltech.edu and click on "United Way." This campaign begins on Friday, October 13, and ends Friday, November 17. JPL Employees: Donating is made easy thanks to automatic, pre-tax payroll deductions. To select the CEC as your charity, visit uwgive.jpl.nasa.gov and click on "Contribute to Specific United Way Partners." The campaign has already begun! Pledge your United Way donation to the CEC by Friday, December 1. We thank you for your dedication to fulfilling the promise of childhood! The Fall Used Clothing & Toy Sale is Here! Please bring your gently-used children's toys, clothes, shoes, and maternity wear, sorted by age (not gender), to the CEC starting Thursday, October 12. Items may be dropped off at the CEC office or in the Whale Room near the stage.